You don’t need the luck of the Irish to find the best articles for writers on the Internet—they’re all right here in our March Links Roundup! Great tips on taxes for freelance writers and self-published authors; how to start an email newsletter; ways to boost your blog’s income; a beginner’s guide to visual content marketing; and why social media is crucial to your marketing efforts. Whether you create your own author website or we create one for you, the experts at Web Design Relief want to give you the best possible tools to build an effective online author platform and get your writing out there for the world to read. Tax Tips For Freelance Writers and Self-Published Authors – via TurboTax – Tax season is upon us! With new information for the 2018 tax year, TurboTax gives freelance writers and self-published authors tips on which forms you’ll need, which deductions you can take, and how to handle the self-employment tax and royalties. How to Grow an Email Newsletter Starting from Zero – via Jane Friedman – Christina McDonald discusses how an email list is your secret weapon for building awareness of your brand as a writer. She also offers a step-by-step guide to how she built her own email list from 0 to 6,000! Five Ways to Quadruple Your Blog’s Income – via ProBlogger – Have you already monetized your blog, and are now looking for ways to increase your revenue? Darren Rowse offers tips on how to increase income by boosting your blog’s traffic, adding a new income stream, increasing your conversion rate, and more! A Minimalist’s Guide to Visual Content Marketing (Even If You’re Not a Designer) – via CopyBlogger – Not everyone is a visual person. But Pamela Wilson explains how every writer, especially those new to design, can learn to effectively implement design strategies on their website via visual content marketing. Why Social Media Is Crucial to Your Marketing Efforts – via The Blog Herald – We at Web Design Relief talk a lot about how social media is indispensable to a writer. The Blog Herald offers another perspective on the matter, offering advice on how social media can make a vast difference in the success of your blog (or business). 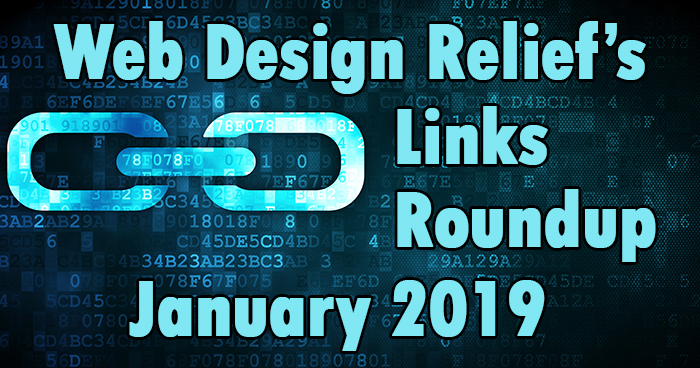 Welcome to our February Links Roundup! Our research experts have searched every nook and cranny on the Internet to bring you the best articles for writers: building a platform when you’re unpublished; CDN services to speed up your website; how to develop your writing process to become a more prolific writer; how to write short sentences and paragraphs the right way; and more! Whether you create your own author website or Web Design Relief creates one for you, we want to give you the best possible tools to build an effective online author platform and get your writing out there for the world to read. Building a Platform for Your Work When You’re Unpublished – via Jane Friedman – Marketing expert Michael Warner discusses how he built a platform for his work as an unpublished editor. He also discusses how to deal with taxes and how publishing a “loss leader” book can give you a stronger platform to publish your other work. 6 Great CDN Services To Speed Up Your Site – via BloggingWizard – Have you been frustrated by how slow your author website is? Bring it up to speed using a content delivery network! Colin Newcomer explains what a CDN is and how to utilize it. How to Write Short Sentences and Paragraphs the Right Way (and Why It Matters) – via ProBlogger – It’s conventional blogging wisdom that the shorter and more concise your writing, the better. Ali Luke reviews how to make your sentences shorter—and when you might be going too far with shorter paragraphs. 10 Blogs About WordPress to Read in 2019 – via Theme Isle – Do you use WordPress as your blogging platform? Whether you are just starting out or are a website wizard, these ten blogs about the platform are must-reads for 2019. 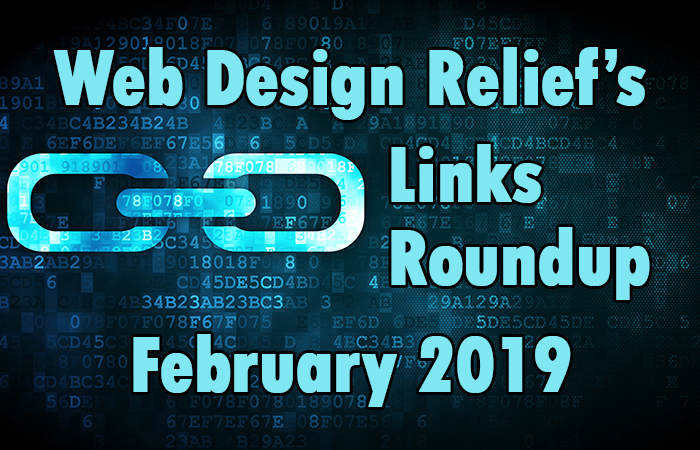 Welcome to Web Design Relief’s first Links Roundup for the new year! We’re starting things off with an interview with a Google webmaster; how to meet your writing resolution goals in 2019, preparing for a great new year of blogging; and more. Whether you create your own author website or we create one for you, we want to give you the best possible tools to build an effective online author platform and get your writing out there for the world to read. 3 Big Lessons from Interviewing John Mueller at SearchLove London – via Moz – Will Critchlow from Moz interviews John Mueller, a webmaster relations manager for Google, who shares his best advice on SEO, “domain authority,” subdomains vs. subfolders, and more! Using BookBub Ads to Support Your Book Marketing – via Jane Friedman – Anne Janzer discusses the challenges of advertising your book, and how BookBub ads can make marketing your book much easier. 13 Key Ways to Lower Your Blog’s Bounce Rate (and Why it Matters) – via ProBlogger – Darren Rowse of ProBlogger explains what a “bounce rate” is, why you might actually want people to bounce, and how you can lower your blog’s bounce rate. How To Smash Your 2019 Writing Resolution – via Prolifiko – Are you making a resolution to write more in 2019? Chris Smith from Prolifiko offers nine tips on how to get motivated to write—and stay motivated to write. How To Prepare For A New Year Of Blogging – via BloggingWizard – Adam Connell of BloggingWizard reviews the best ways to prepare your blog for 2019: updating and redesigning your blog, running a content audit, and removing unnecessary clutter are just a few ways to get started!